Impressive townhome/condo just minutes from Uptown, South Park, Park Road Shopping Center, dining, and entertainment. 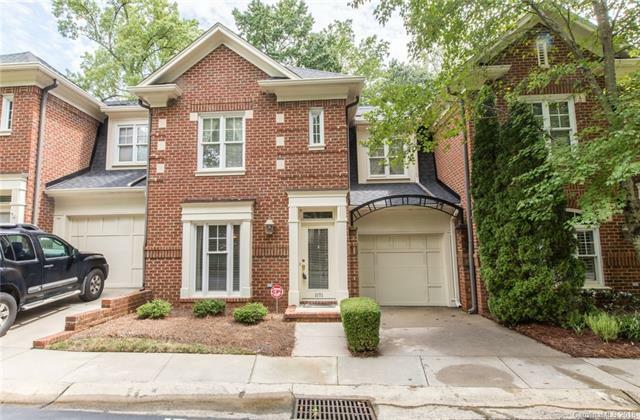 Home is located in one of the hottest areas of Charlotte and is assigned to one of the best school districts available. New paint in 2017. New roof and wood floors in 2016-2017. This remarkable unit features 3 bedrooms; 2.5 bathrooms; newly updated white/grey kitchen with granite and stainless steel appliances; huge master suite with 5 piece bath including Jacuzzi tub, separate shower, and a walk-in closet; 10' ceilings with beautiful millwork; new granite in bathroom; new sinks and marble tile in guest bath; an attached 2 car garage; and a private/wooded enclosed back patio area.